Sometimes you have to get a little cheeky. 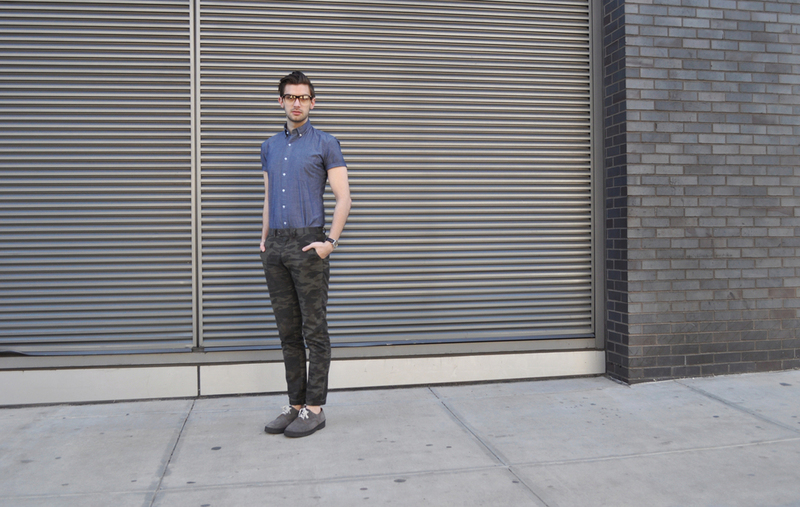 A short sleeve chambray shirt works perfectly on its own or with a tie or bow tie. It's a great way to look polished in the Spring without all the extra layers. I paired mine with camo printed chinos (which can go south real quick if you're not careful. Go the opposite of Duck Dynasty with a polished shirt and shoes for a city-ready look. Camo will make you stand out, not blend in, and you want it to for all the right reasons.). 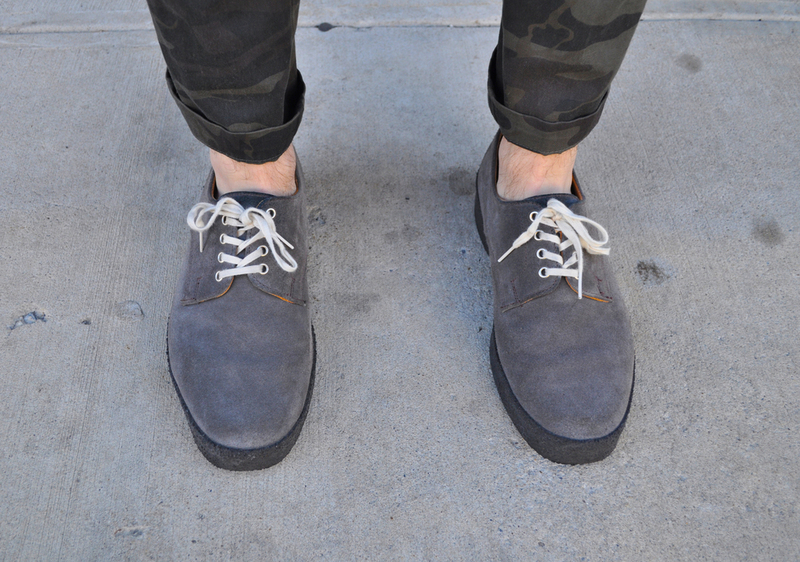 The Mark McNairy shoes and thick glasses add a bit of wit to the look. What do you think?